American modern muscle car. 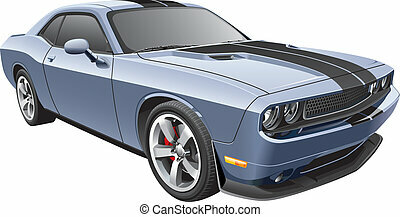 Hot modern american muscle car cartoon. white with black rims, aggressive stance, low profile, big tires and rims. hand-drawn and illustrated by jeff hobrath. 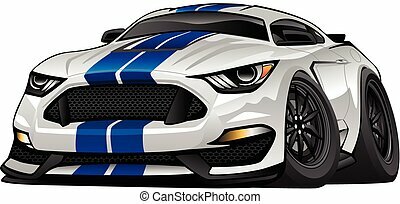 Hot modern American muscle car cartoon. White with black rims, aggressive stance, low profile, big tires and rims. Hand-drawn and Illustrated by Jeff Hobrath. 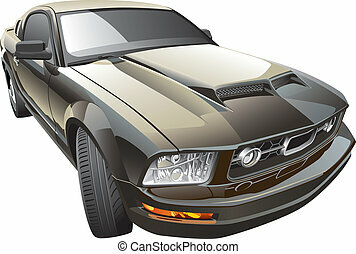 Detail vector image of American muscle car with black racing stripes and open roof, isolated on white background. File contains gradients and transparency. No blends and strokes. Easily edit: file is divided into logical layers and groups. 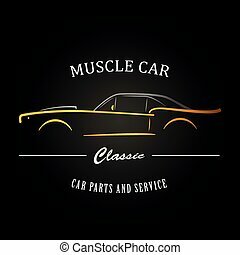 Vintage muscle car logo. Vector illustration. 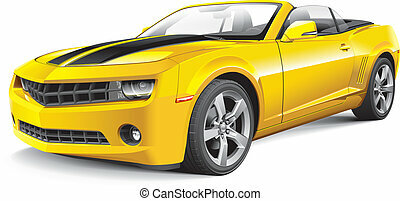 Detail vector image of modern muscle car, isolated on white background. File contains gradients. No blends and strokes. Easily edit: file is divided into logical layers and groups. Classic muscle car silhouette. 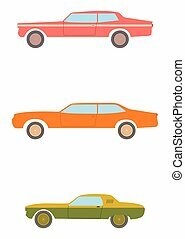 Vehicle silhouette design. Vector illustration. 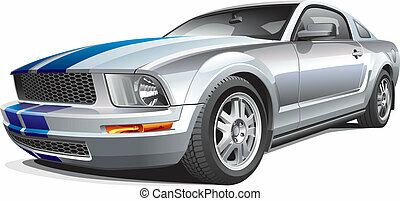 Detail vector image of modern sport car, isolated on white background. 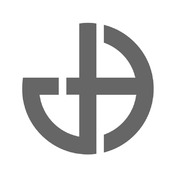 File contains gradients and transparency. No blends and strokes. Easily edit: file is divided into logical layers and groups. Auto Company Vehicle Logo Design Concept with classic American style sports Car Silhouette. Vector illustration. 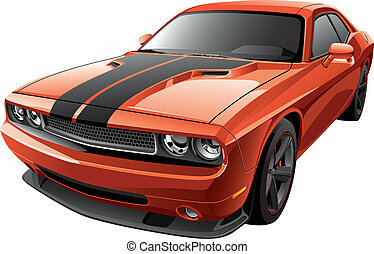 Hot American muscle car cartoon. bright blue, aggressive stance, low profile, big tires, chrome wheels and huge rear spoiler. 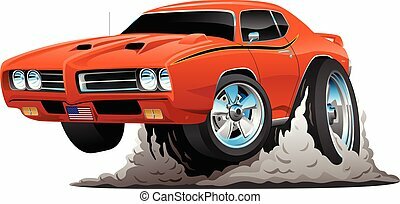 Hot American 1970?s style muscle car cartoon. 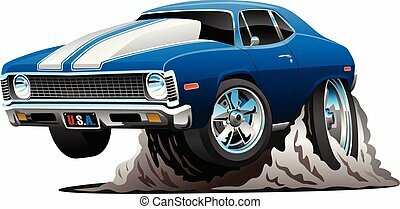 Bold blue with white stripes, aggressive stance, big smoking tires, popping a wheelie. 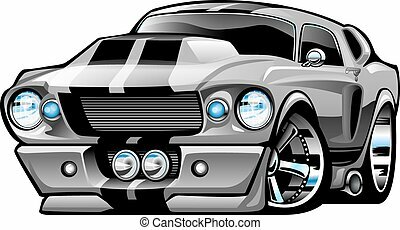 Hot American 1960s style big muscle car cartoon. Sharp blue, aggressive stance, big tires, classic rims. 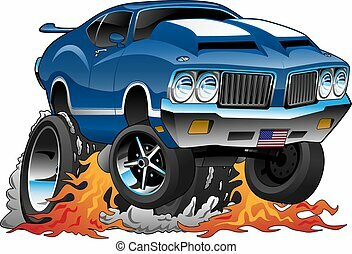 Hot American 1970?s style muscle car cartoon. Bright green with, aggressive stance, big tires, classic rims, chrome, shaker hood scoop. 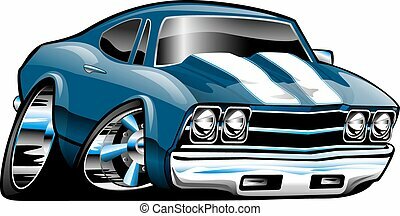 Hot American 1970?s style muscle car cartoon. Silver with black stripes, aggressive stance, big tires, solid racing rims popping a wheelie. 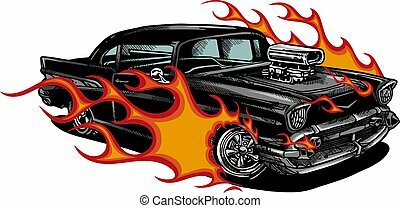 Hot American 1960?s style muscle car cartoon. 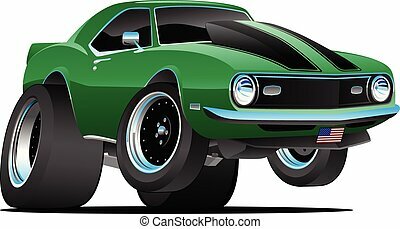 Bold green with black stripes, aggressive stance, big tires, solid black rims with lots of chrome trim, popping a wheelie. 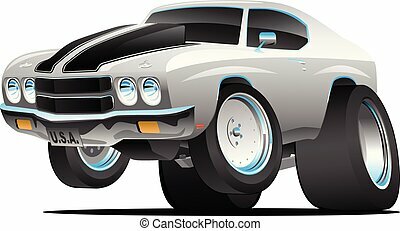 Hot American modern muscle car cartoon illustration. Mean, low and black, aggressive stance, big tires and rims. Very sharp, clean lines, a crisp illustration. 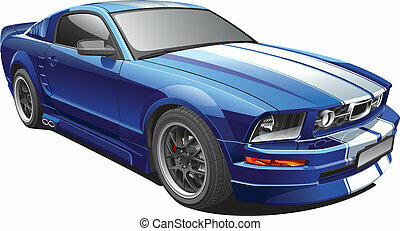 Modern American Blue Muscle Car Cartoon. Bold blue, lots of chrome, aggressive stance, low profile, big tires and rims. Hand-drawn and Illustrated by Jeff Hobrath. 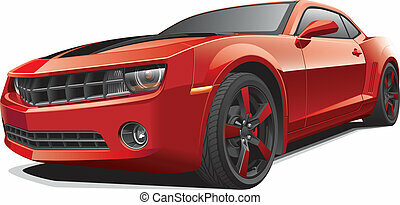 Hot modern American muscle car cartoon. Red with black stripes, aggressive stance, low profile, big tires and rims. 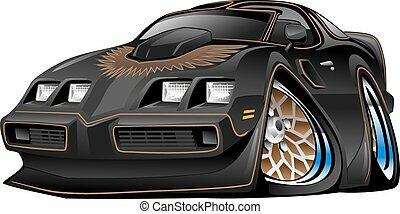 Classic American Black Muscle Car Cartoon, lots of chrome, aggressive stance, low profile, big tires and rims. Very cool modern import sport sedan cartoon illustration. Mean, low and blue, aggressive stance, big tires and rims. Very sharp, clean lines, a crisp illustration. 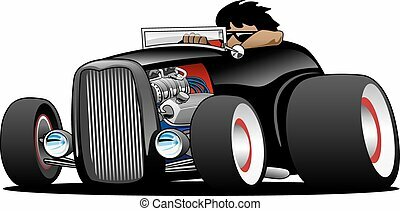 Hot American vintage hot rod hiboy roadster car cartoon. Black, cool stance, low profile, big tires on vintage rims. Very sharp, clean lines, a crisp illustration. 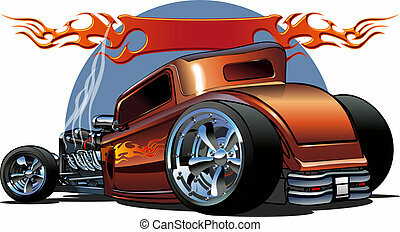 Hot American vintage hot rod hiboy roadster car cartoon. Red, cool stance, low profile, big tires on vintage rims. Very sharp, clean lines, a crisp illustration. 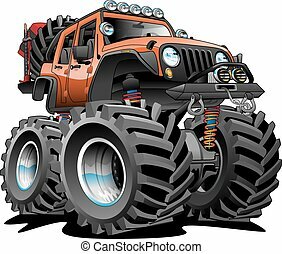 Awesome cartoon illustration of a lifted 4x4 Off Road vehicle cartoon illustration, orange with huge tires, big rims, lots of gear ready for the dirt. Hand-drawn and Illustrated by Jeff Hobrath.